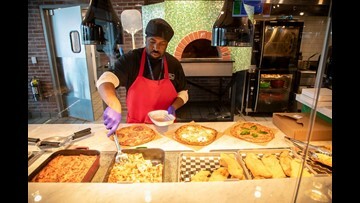 Customers order at the new Art Bird & Whiskey Bar, owned by singer Lady Gaga’s restaurateur father and manned by celebrity chef Art Smith, formerly Oprah Winfrey’s personal private chef. 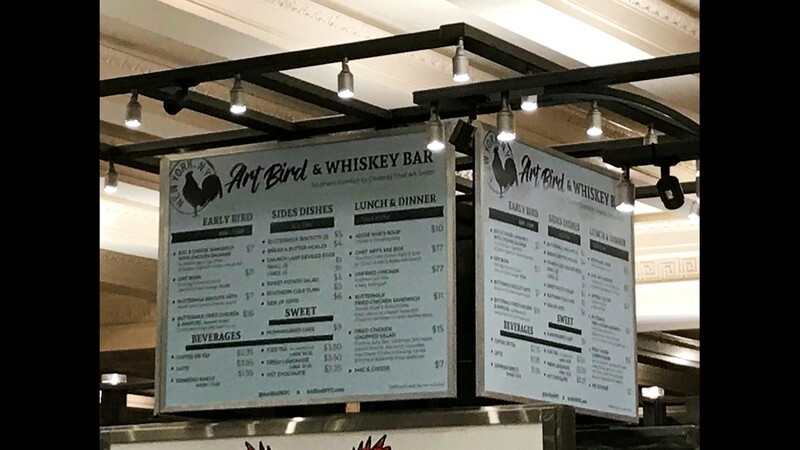 The overhead menus at the new Art Bird & Whiskey Bar in New York City. 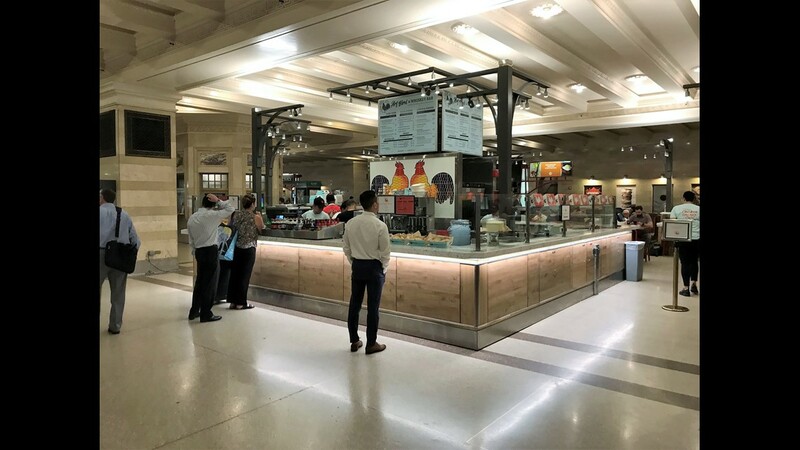 The kiosk has a semicircular wall around the seating area in back, creating a sort of private sit-down space in the middle of the otherwise public common area food hall. 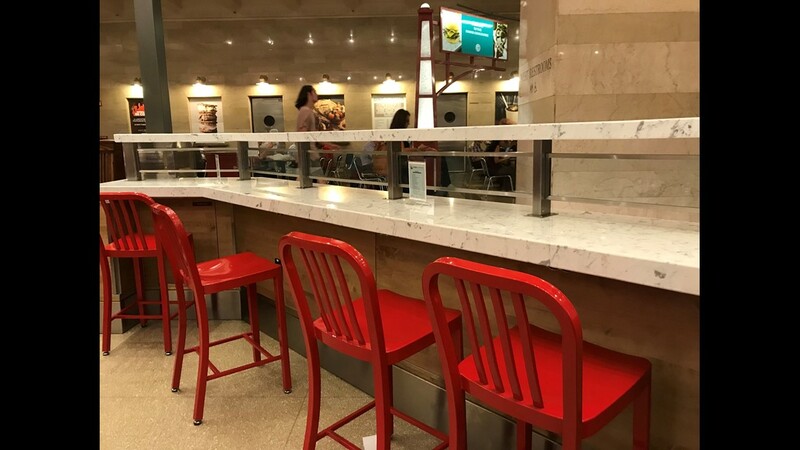 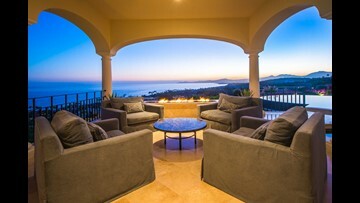 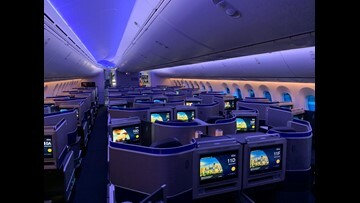 Seating is at a mix of tables and counters. 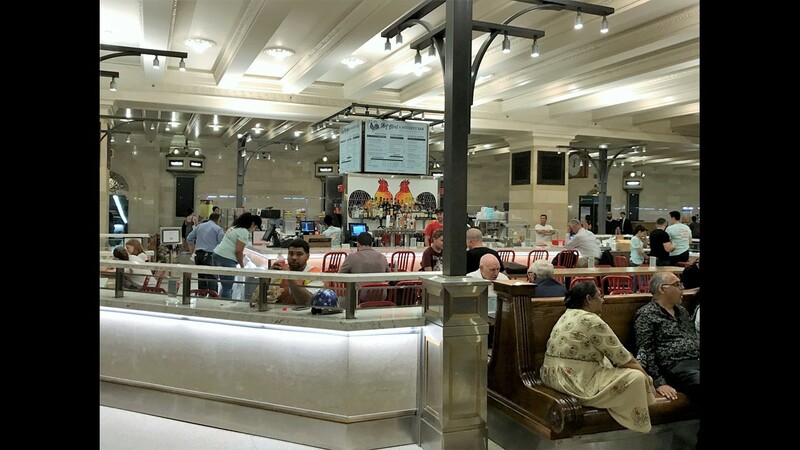 The interior of the walled-off main dining area at Art Bird. 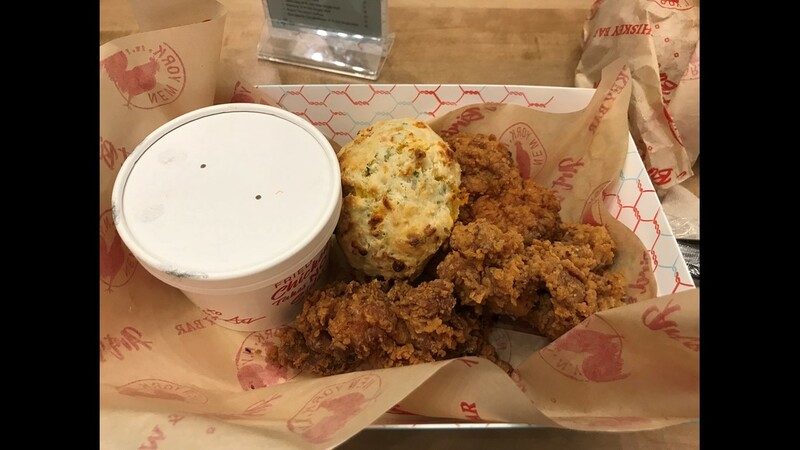 The signature dish is Chef Art’s Mix Box, a two-piece serving of light and dark meat fried chicken with a biscuit and choice of side. 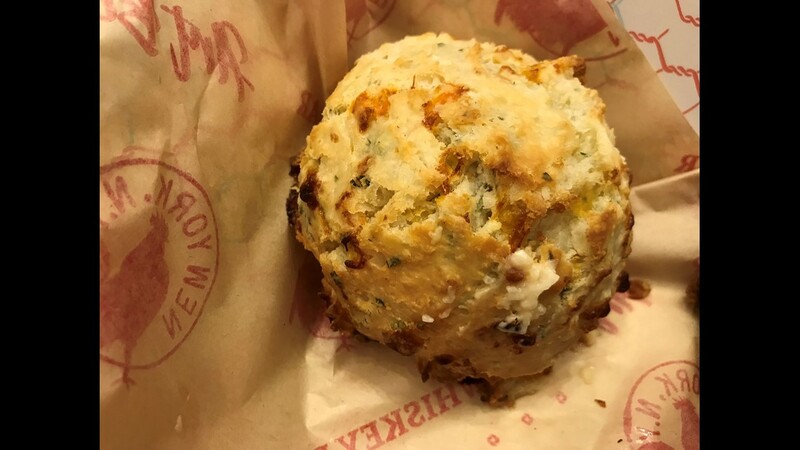 Close-up of the biscuit, served warm and full of cheddar cheese and chopped green onion. 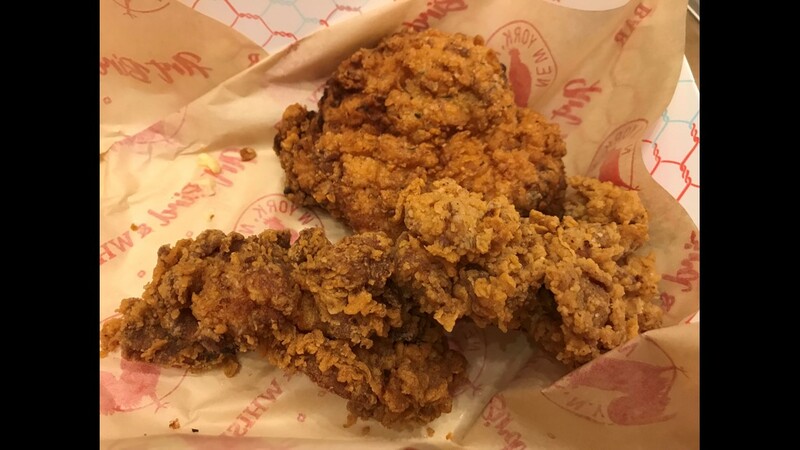 Close-up of the fried chicken, which has deboned pieces with lots of crunchy, craggy, heavily seasoned and delicious breading. 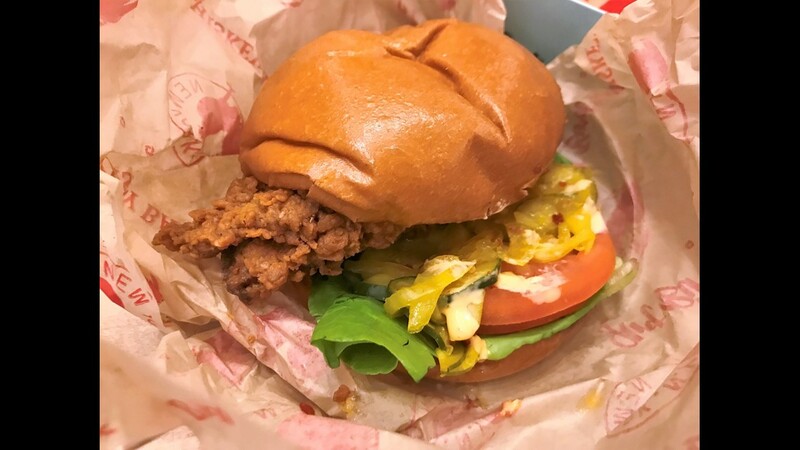 The hearty Buttermilk Fried Chicken Sandwich is another top choice here, a generous boneless slab of crunchy fried chicken on a brioche bun with lettuce, tomato, wonderful pickles and a choice of hot pepper or green goddess mayo. 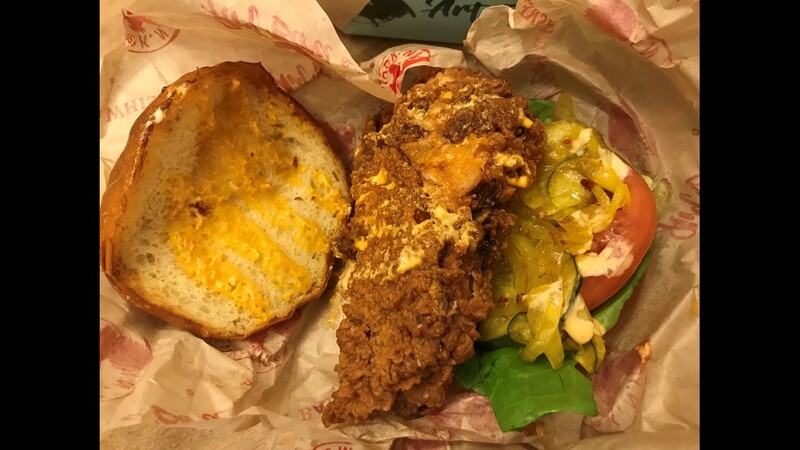 The Buttermilk Fried Chicken Sandwich deconstructed – it is quite large, and the crunchy breading stands up well to the condiments and gives it great texture in every bite. 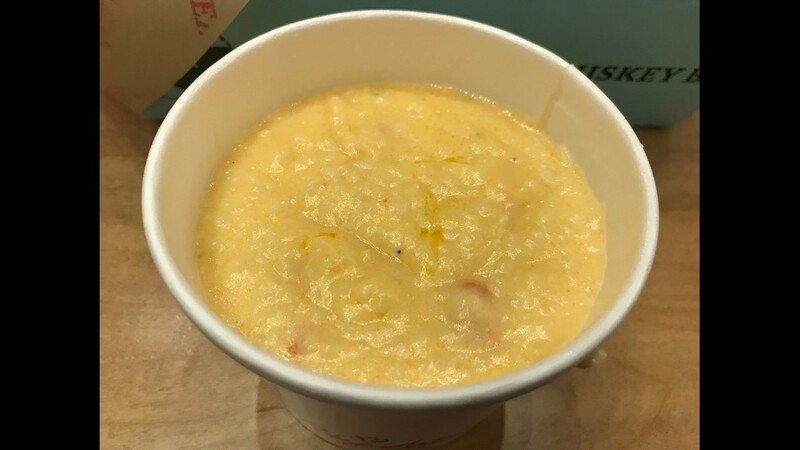 The cheesy grits are one of the more creative sides options, but while plenty cheesy, they are too thin. 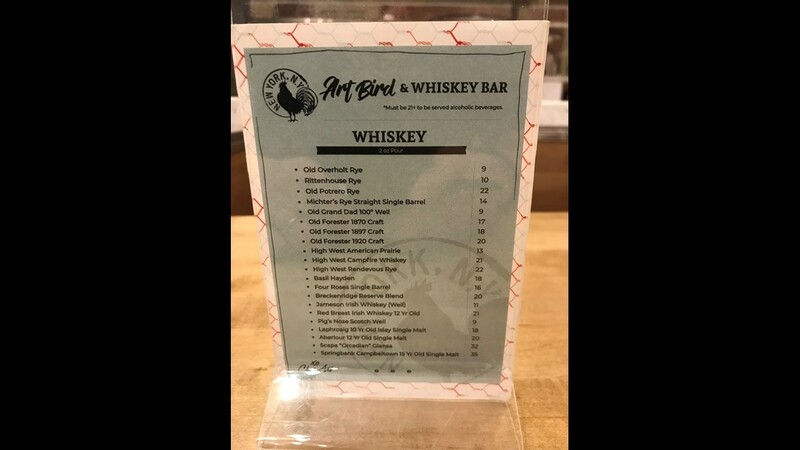 Art Bird & Whiskey Bar lives up to half its name with a well-curated list of 20 whiskies, plus lots of craft beers, signature cocktails and wines. 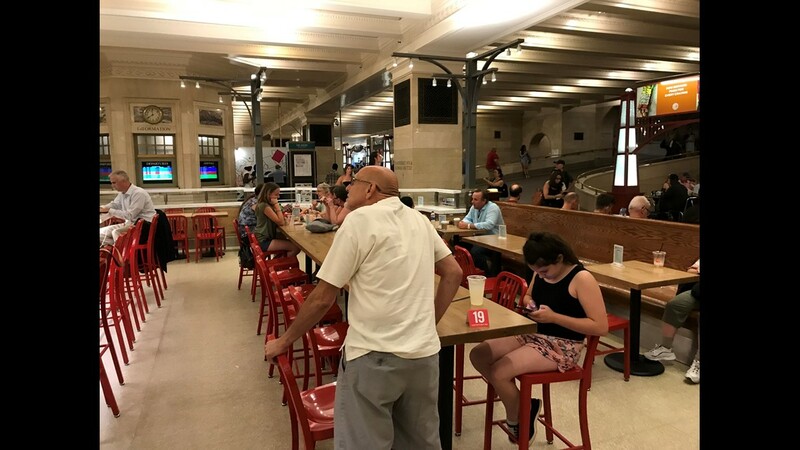 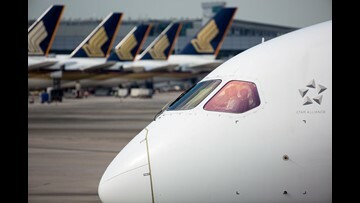 The back of the kiosk has been converted into a nine-seat bar you can eat at, with beer on draught and cocktails available. 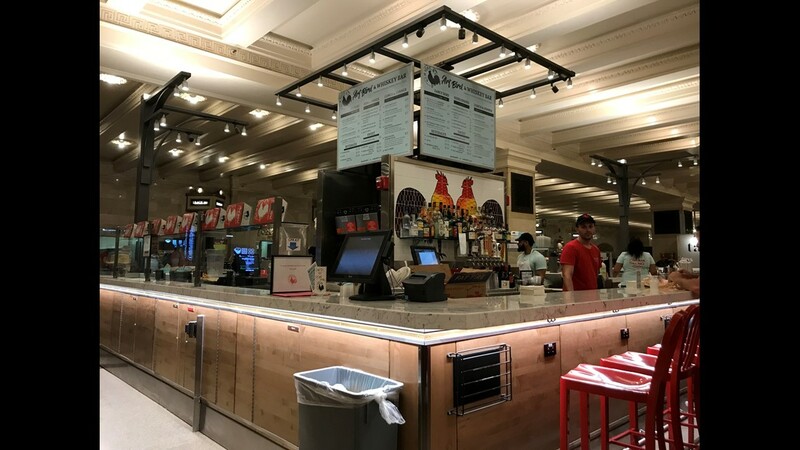 The view from behind Art Bird & Whiskey Bar, where the half-wall surrounding the seating area separates the restaurant from the benches of the main food hall.